Easter is just around the corner. Shall we make our Easter eggs special this year? Let us turn a simple Easter egg into a piece of art. Ingredients of this artwork are all edible and commonly found in most kitchens. This can be done by anyone, but children of course will enjoy it the most. Break the dark chocolate into pieces and melt it in the bowl. This is done by placing the bowl in a saucepan that contains water that has been just boiled. The water should be very hot. If you are using a microwave oven, melt it in the oven for one and a half minutes at full power, or according to the manufacturer’s instructions. Divide the decoration icing or the marzipan into four pieces. Keep one piece white and colour the rest using red, yellow and green food colourings. Now you can unwrap the chocolate egg carefully. Let the decorated egg harden. If necessary, place it in the refrigerator. You can wrap each egg in cellophane and tie with a ribbon. If you would like to gift it to someone, you could gift wrap it. Your Easter egg face is ready. 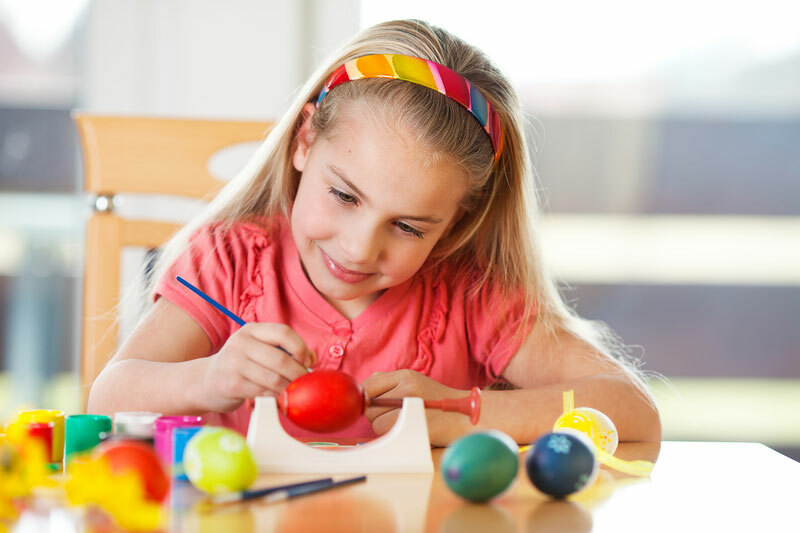 You can create a whole family of Easter eggs this way. Not just faces, but animals and birds can also be moulded like this. It is a great new way to celebrate Easter. Wish you a very special and joyful Easter!